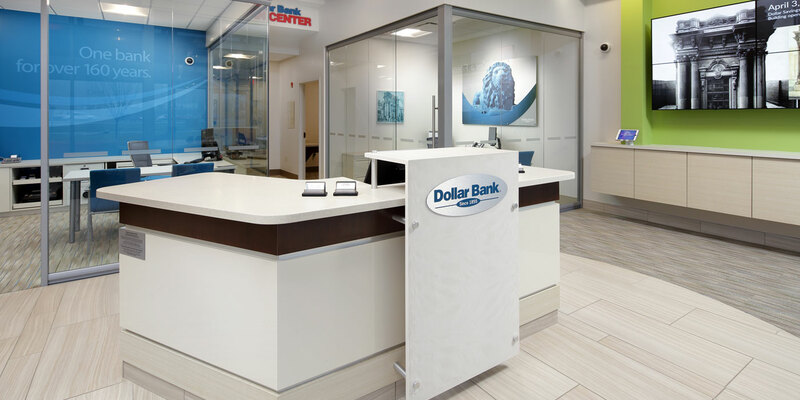 Dollar Bank has changed their branch model and the South Fayette location is the perfect example of their new style. 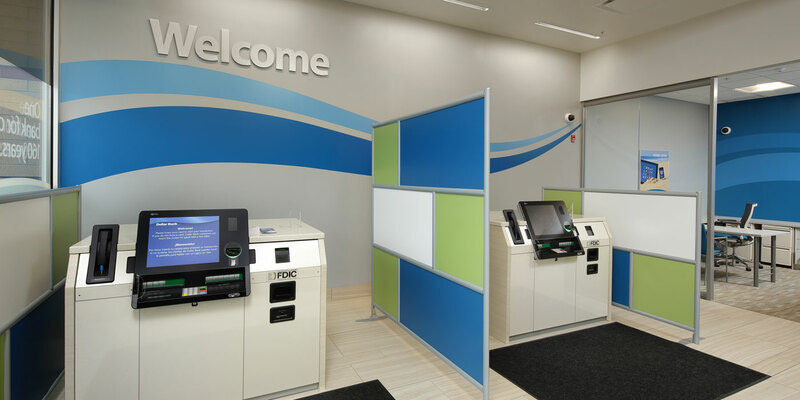 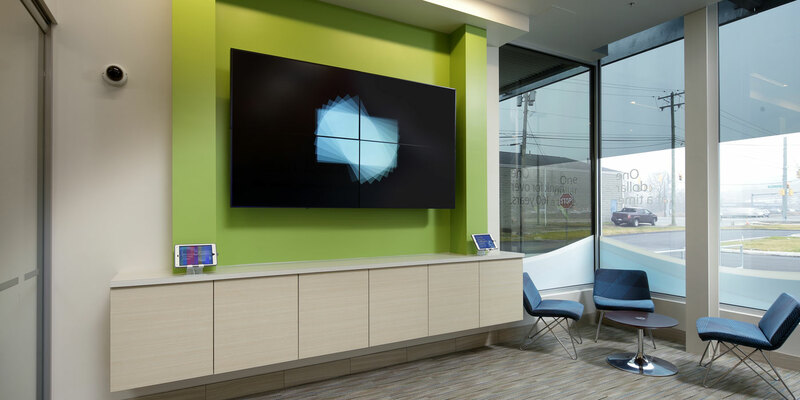 The bank has eliminated a physical teller line and has installed in its place a “virtual” teller line which connects customers via video to their center in Downtown Pittsburgh. 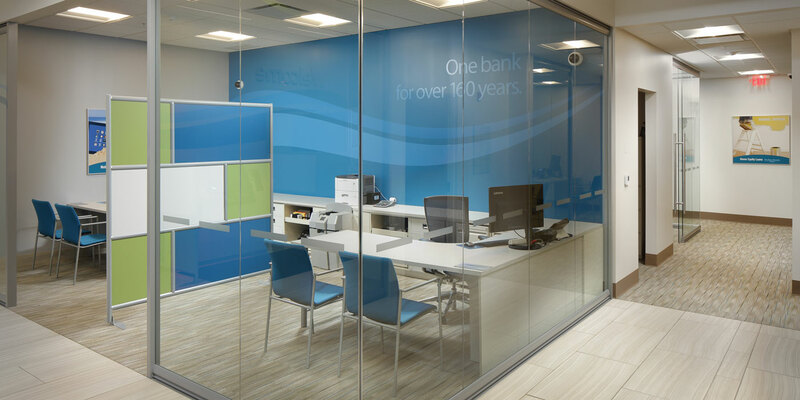 The sleek new design has modern interior finishes with pops of color to emphasize their branding. 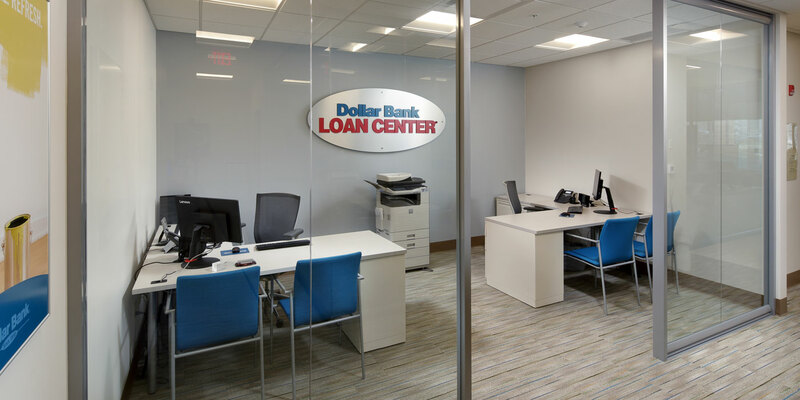 The new 2,570 SF branch has a comfortable waiting area, greeter desk, virtual teller line, multiple offices, a video conference room, break room, and drive thru. 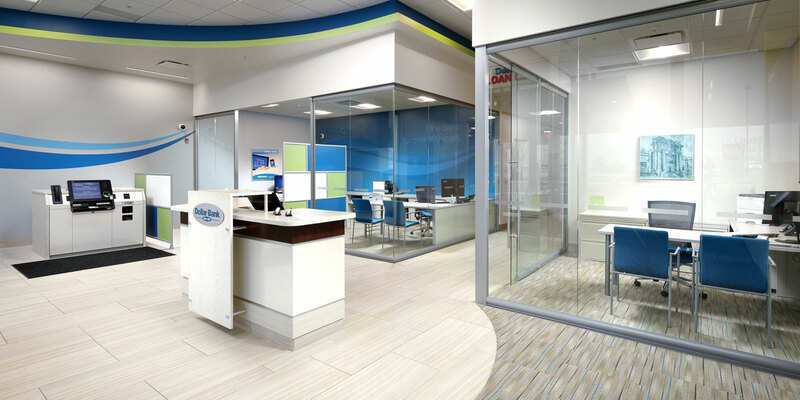 The branch is located in the new Gateway Shops on Millers Run Road in Bridgeville, PA. MBM provided general contracting services for the interior fit-out.